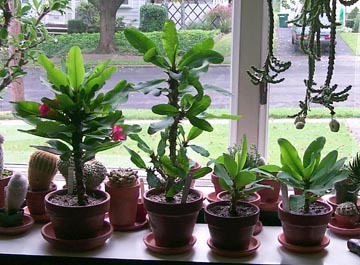 The two larger plants on the left were purchased from Glasshouseworks in early spring of 2000. 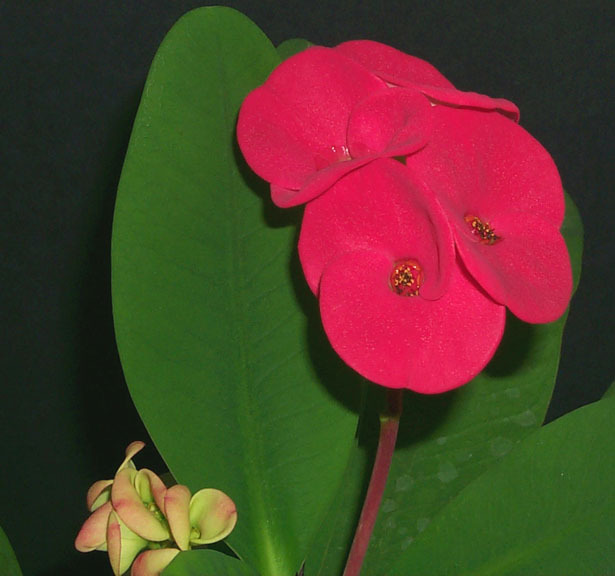 These hybrids of Euphorbia lophogona and Euphorbia milii originated in Thailand, where they are considered to be "good luck plants". 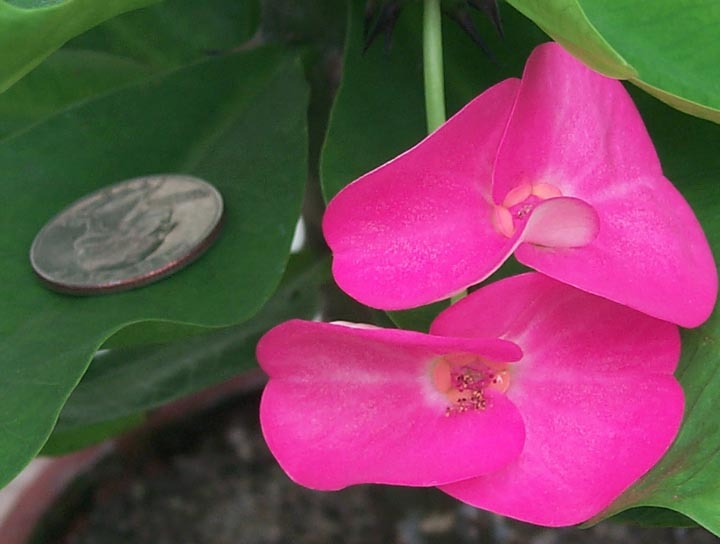 The pictures below show close ups of the showy flowers. The quarter serves as size comparison. 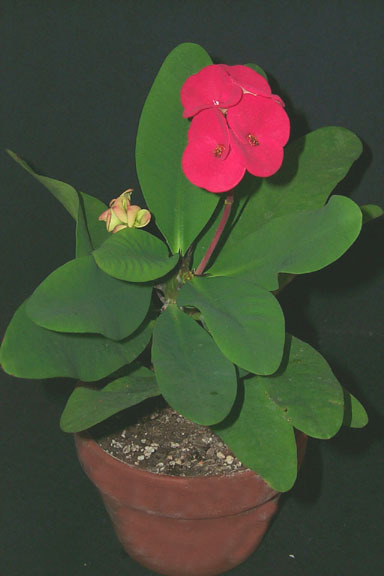 The color of the floral bracts seems to vary slightly with age and/or the amount of light the plant received. I started this one from a two inch cutting in April, it rooted easily and started to grow over the summer. This is a first flowering! These hybrids are a far cry from the usual Crown of Thorn. 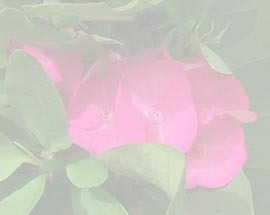 They are not difficult to grow and flower happily in a sunny location. I do not let the soil completely dry out between waterings and apply occasionally dilute blossom booster. 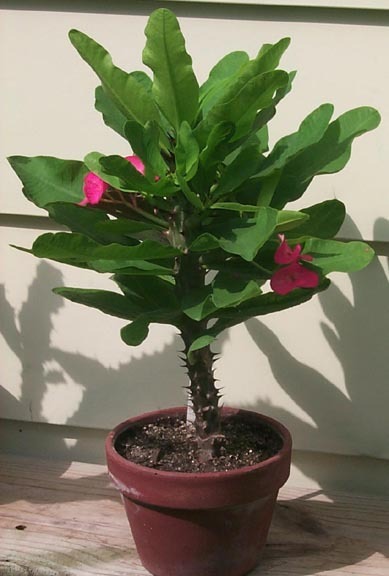 Small buds, like those on the left, take about a week to grow to their full size. 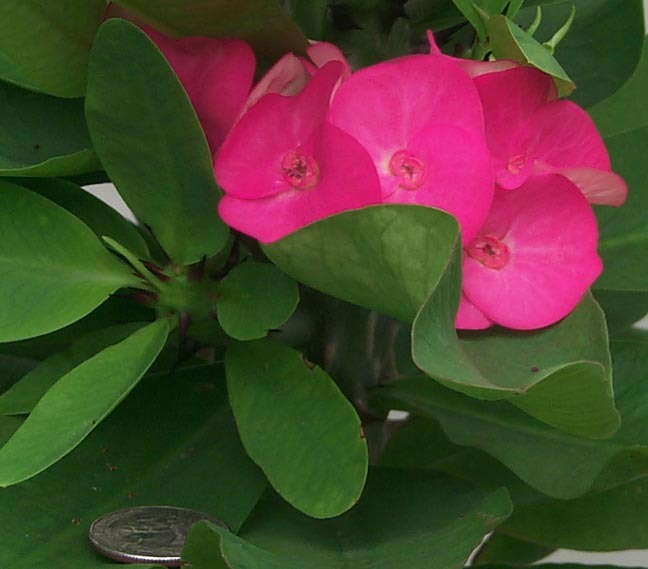 The flowers are truly showy, displayed above the leaves.